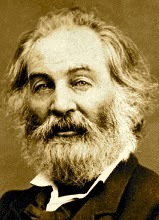 A Year of Being Here: Walt Whitman: "A Sight in Camp in the Daybreak Gray and Dim"
Walt Whitman: "A Sight in Camp in the Daybreak Gray and Dim"
Then to the second I step—and who are you my child and darling? "A Sight in Camp in the Daybreak Gray and Dim" by Walt Whitman, from The Leaves of Grass: The Death-Bed Edition. © Digireads.com, 2008. Photography credit: "Aerial View of Arlington National Cemetery," by J. D. Leipold (originally color). 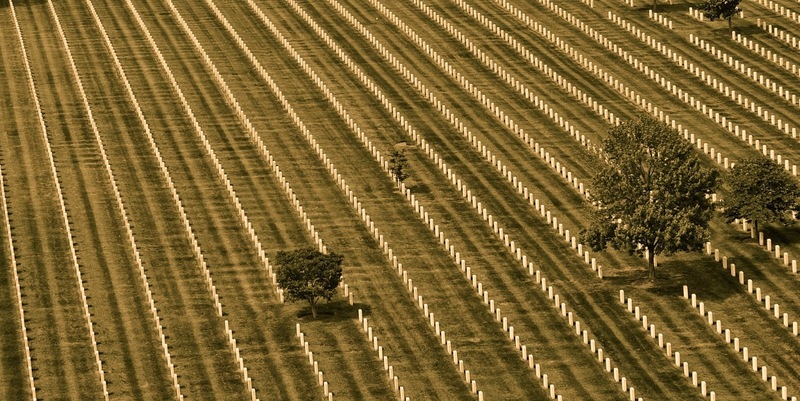 Caption: "Shown in this aerial view is just a small section of Arlington National Cemetery's 624 acres."